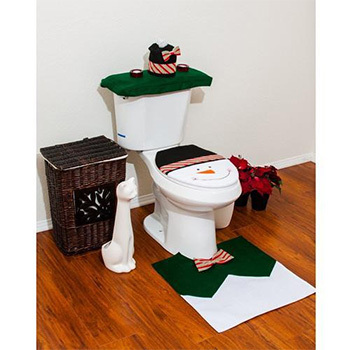 Santa Claus Toilet Seat Cover - $21.99 With FREE Shipping! Ahhhh Christmas! It's nearly that time of year and it is time to start planning your home decor around your favorite holiday. Dare we say start with the bathroom? Well, we think this cheerful Santa Claus Toilet Seat Cover or Snow Man Toilet Seat Cover is just what the bathroom needs this holiday season. Ho Ho Ho! Can choose between Santa Love or Snow Man addiction.